You’d have thought a fur coat would have been the ultimate bear necessity. But not for the unfortunate Dolores who has lost all her body hair and has just been left with a few tufts around her head. 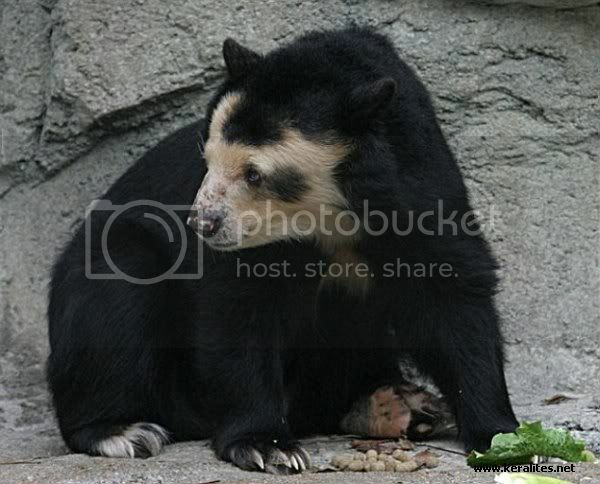 Vets have been left baffled by the condition of the bespectacled bear, who lives at a zoo in Leipzig. 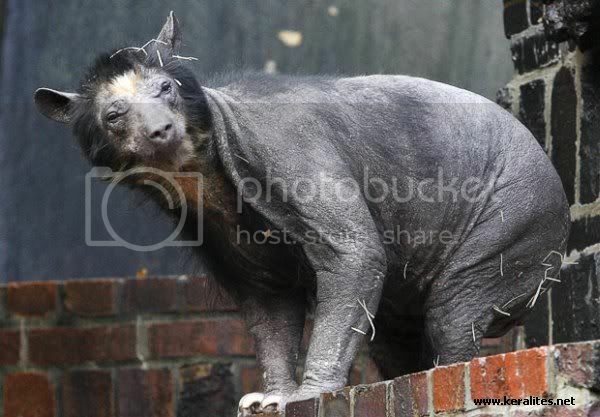 Vets are baffled at this strange sight: Dolores, a spectacled bear at the Leipzig Zoo in Germany has gone bald! It could be due to a genetic defect but the animals don’t seem to be suffering any other afflictions. The normally fluffy dark brown bears should be now growing a thick fur coat to keep them warm during the winter. 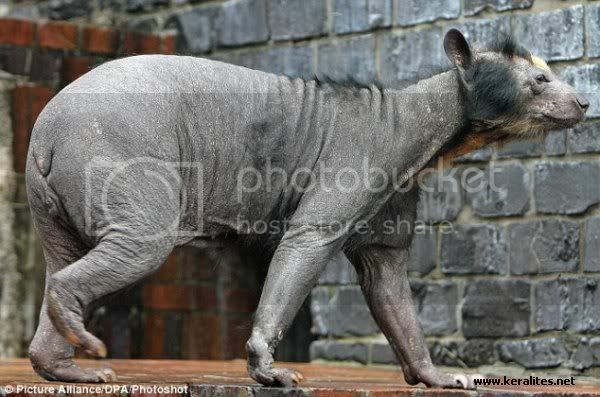 One thing the lack of hair shows up in their huge, lethal claws. 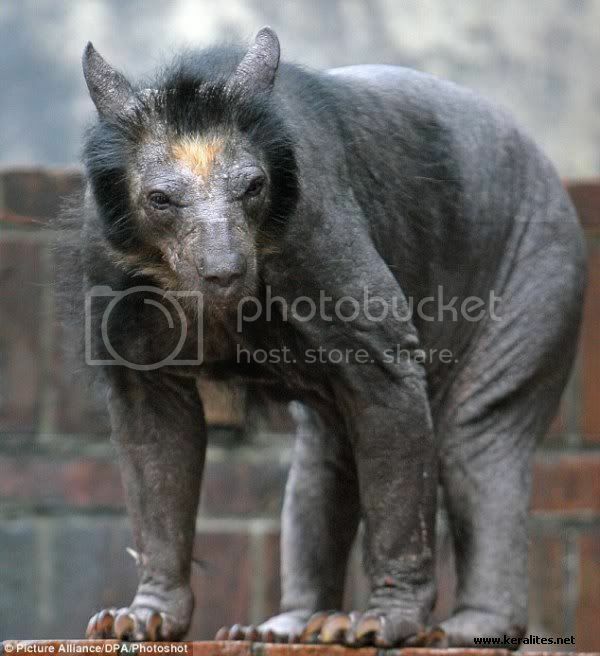 But instead the bears, which once originated from South America, have begun developing nasty rashes and inflammations on their skin where their glossy coats should be. And Dolores isn’t the only one. 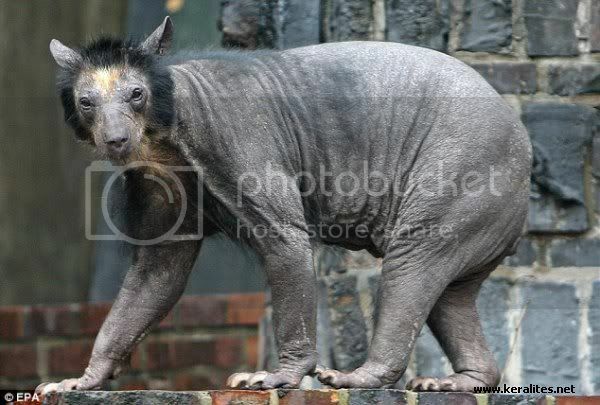 The sudden hair loss has affected all female bears at the zoo. Some experts believe it could be due to a genetic defect though the animals do not seem to be suffering from any other affliction.The bears, which originate from South America, normally have fluffy dark brown fur and would now be growing a thicker fur coat to keep warm during the winter.